In a previous blog, I mentioned that The Honolulu Mint catered to the fine Hawaiian jewelry market. 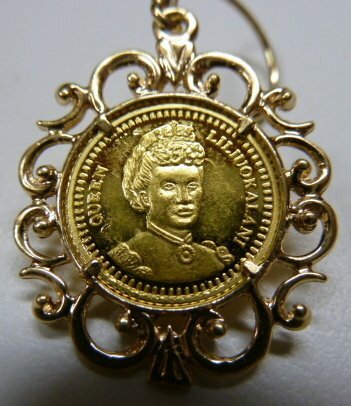 Here is an example of an Queen Liliuokalani jewelry specimen. Then there are those specimens catered to the coin collectors. 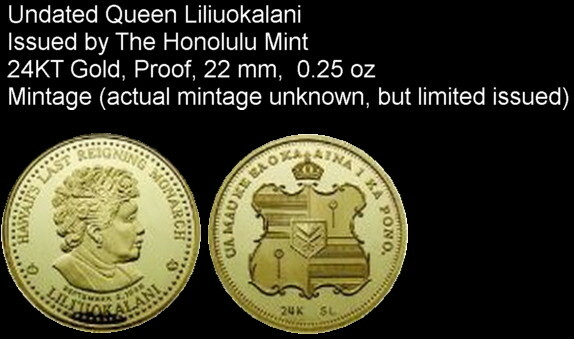 Below is such a specimen of a Queen Liliuokalani coin specifically for the coin collector. The coin was issued encapsulated. It came with a wooden box and a COA. Notice on the reverse you will see the initials “SL” for Steven Lee (designer of this coin) from The Honolulu Mint.